Properties in Michigan average 4.7 out of 5 stars. Property 7: Great family getaway! Sugar Island cabin on the water, doorway to great fishing and duck hunting! Property 8: Sugar Island cabin on the water, doorway to great fishing and duck hunting! Property 9: Screened porch, Lake Huron views, walk to the beach and town in minutes! Come and enjoy Bootsie's Place for a wonderful and relaxing get away! Property 13: Come and enjoy Bootsie's Place for a wonderful and relaxing get away! A close encounter to all city events, beaches, parks and activities. Property 16: A close encounter to all city events, beaches, parks and activities. Peaceful Get Away On Inland Lake between Mackinac Island and Pictured Rocks. Property 18: Peaceful Get Away On Inland Lake between Mackinac Island and Pictured Rocks. Property 19: Charming Cottage--Walk to Douglas Beach! Property 22: Ranch style, waterfront property! Great for boat watchers. Freighters galore! Property 23: Relax at the lake shore in an updated tiny house. 2019-20 Summer Dates Available!!! 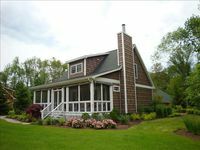 South Side Cottage, Close to Beach & Town! Property 28: 2019-20 Summer Dates Available!!! South Side Cottage, Close to Beach & Town! Property 33: Great Fishing destination! Property 37: Limited *August Dates* now available. Special Spring rates. Book today! Property 39: Open All Year * Ausable River Access * Newly Remodeled! Relax or Play ALL YEAR ROUND At Our Cozy Lakefront Home. Property 47: Relax or Play ALL YEAR ROUND At Our Cozy Lakefront Home. Memorial Day just Opened, Grab it while you can! Property 49: Memorial Day just Opened, Grab it while you can! This is my third time staying in this home and this group of people I brought along this time really enjoyed it also. It&rsquo;s bright and cheery colors and decor add just the right touch. Easy access to town yet just enough privacy. Business trip in mi lead us to needing a central location to travel to our offices. Nice place that offers some quiet to unwind daily and have a enough room for everyone to have their own personal space.